Peter Ridd on the Great Barrier Reef: When you look at the entire amount of coral, maybe eight per cent died. When you consider that in the whole southern region there was a 250% increase in coral, the loss was actually trivial. Marine physicist Peter Ridd: Although James Cook University acted in a disgraceful way, they’re actually no better than most of the other universities. I suspect some of the others are considerably worse. The federal court has ruled marine scientist Peter Ridd was unlawfully sacked by JCU. @GideonCRozner: There will now be academics who will be more likely to come forward and speak out against established orthodoxies. Peta Credlin: Peter Ridd has a view that other scientists aren't brave enough to share. @TheIPA's John Roskam: This idea that the Great Barrier Reef is dying because of climate change has to be challenged. Professor Peter Ridd: It's an amazing fact that so much of the science we are basing big public policy on isn't properly checked or tested. Professor Peter Ridd: The reef is in extremely good shape. A little global warming, if anything, would improve the reef, because the warmer the water, the better. There is a little damage in some parts, but there's not a lot you can do. Professor Peter Ridd: All I'd say is, provided one per cent of the half a billion dollars that the government will give to the Great Barrier Reef Foundation, is spent checking some of the science, it will be worth the investment. 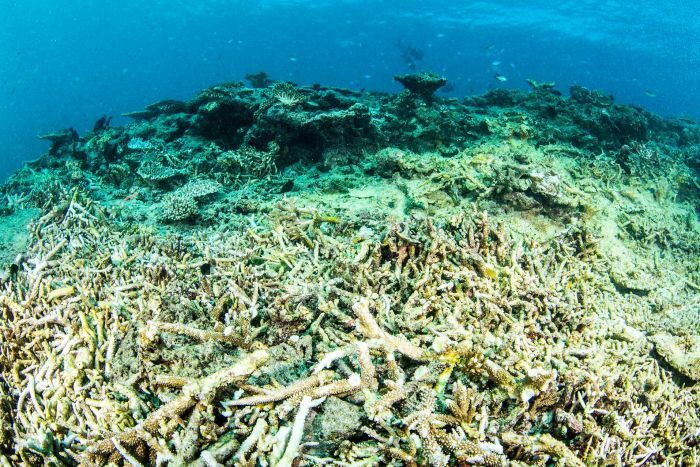 Climate Scientist Peter Ridd says the Great Barrier Reef is not as badly damaged as some people have suggested. Professor Peter Ridd has been fired from a university for breaking a gag order to expose disciplinary action against him. : I think what has happened to him is quite disgraceful, essentially he's been sacked for speaking his mind. Peter Ridd has been fired from a University for speaking out against science regarding the Great Barrier Reef. : It’s sort of a case of one rule for the left wing, and another for the right wing. Marine physicist Peter Ridd: In the case of almost all the Great Barrier Reef science, in my view it doesn’t go through the full range of checks and replications that makes science science. Marine physicist Peter Ridd on Great Barrier Reef funding: What I’d like to see the government do is take 1% of the $500 million that they’re going to spend and allocate it to checking the science. I guarantee you a lot of it is wrong. ICYMI - ANALYSIS: Marine physicist Peter Ridd has won his case for unfair dismissal against James Cook University, but his views as a climate sceptic were not on trial. Professor Peter Ridd says his fight with James Cook University isn't over. “Even now the university isn’t accepting the decision."